One guy that’s not going anywhere is barrelman JJ Harrison. Always a crowd favorite, Walla Walla’s JJ Harrison is one of the top in the business. JJ was chosen as the WNFR barrelman in 2012 and was selected to be the barrelman at the RAM National Circuit Finals Rodeo in Kissimmee, Florida, in 2017 and 2018, the second highest honor in the industry. JJ, a former school teacher, also helps out our rodeo outside of the arena, leading anti-bullying education programs in area schools. Also returning to the arena is announcer Roger Mooney. 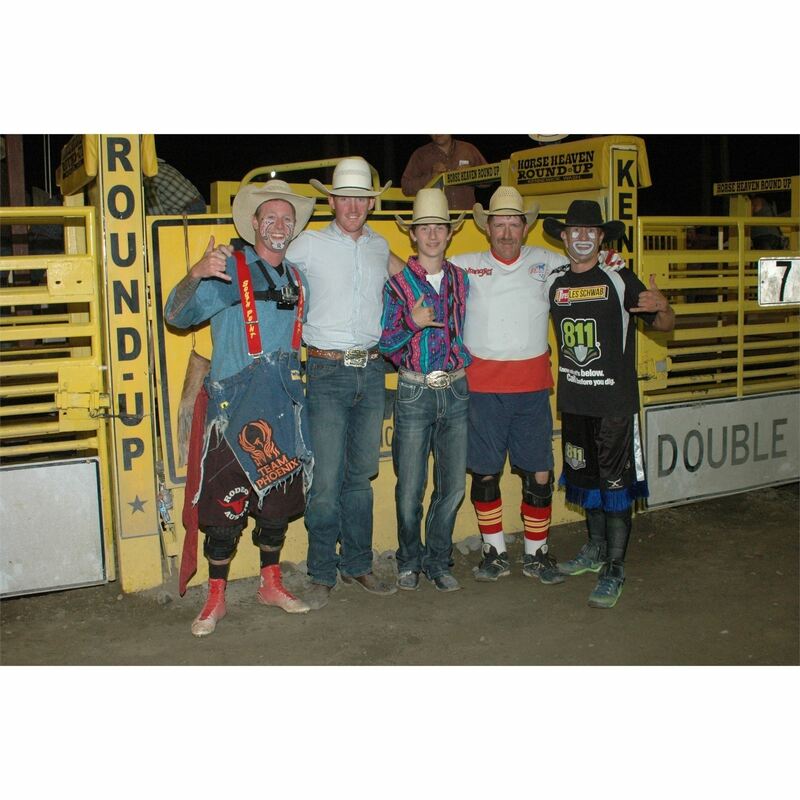 It would hardly feel like the Kennewick rodeo without Mooney’s booming voice. In his 22 years here, Mooney has seen the rodeo grow and evolve into one of the best in the nation. From Elijay, Georgia, Roger’s Southern-tinged voice brings an air of distinction to the rodeo. ? Pro Rodeo Sound, LLC is owned and operated by Jason Buchanan who has a lifetime of experience in rodeo and 15 years of experience providing sound and music for rodeos, bull ridings, and equine sports throughout the country.